Airport scene whenever I travel: Arrive in the airport with no check-in baggage, just a hand carry luggage and a small camera bag. Breeze through airport security and immigration with no care in the world. Board the plane and store my luggage in the overhead compartment. When I arrive in my destination, I finish security checks and immigration. Then skip the baggage collection completely. Sounds like a dream for a heavy packer, right? 1. You never have to wait at the baggage collection area. 2. It’s easier to keep tabs on your belongings since you have fewer to manage. 3. 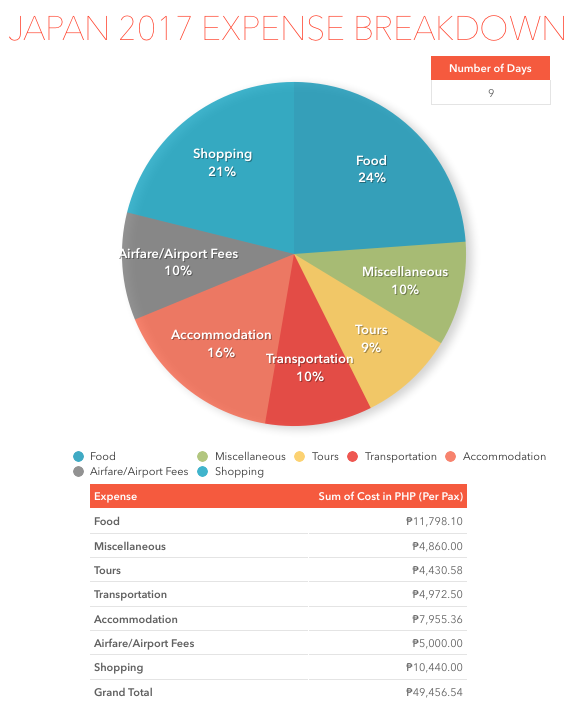 You'll save a few hundred pesos for prepaid baggage allowance. You can buy a good coffee or beer with this money! 4. Taking public transportation is easier when you only have hand-carry luggage. Imagine dragging your enormous luggage around from bus to bus during transfers. Nightmare! 5. You never have to worry about disappearing luggage or luggage that turned up a few weeks late. I've experienced this personally, and it was awful! So, how to travel with 7 KG Baggage Allowance? I started out with the North Face Meteor 30 backpack, a full-sized, 30-liter, user-friendly pack. However, when I developed a neck problem, which is Cervical Radiculopathy (Pinched Nerve), I had to switch to my trusty and cute American Tourister Cube Pop 20" luggage. It's about 2 KG, with push-button locking handle, tough polycarbonate construction, and 4 multi-directional spinner wheels. It's not scratch proof, but I adore its color and interior! 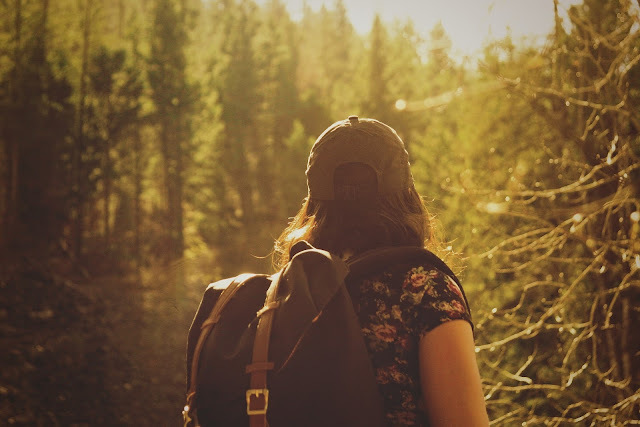 If you travel with a backpack and you are considering of buying a hand-carry luggage, then make sure it's sturdy and lightweight (weighs 2 KG and below). 2. Pack clothes that have more than one use and implement the "Rule of Three"
The 7 KG baggage allowance can really limit the amount of social media worthy outfits that you can pack, but that just means you need to strategically plan your outfit. Now, most people won’t agree with this, but I decided to implement the "Rule of Three". What is this you ask? It is basically a simple method of travel packing with 3 days worth of clothing/apparel. For example, my clothing packing list goes like this: 3 tops (t-shirt or blouse), 3 pairs of pants (2 UNIQLO jeggings and 1 black leggings), 3 footwear (1 Nike Air Max, 1 lightweight sandals and 1 hotel slippers), 3 pairs of socks, and 3 pairs of underwear. If it's winter, I always bring a black winter jacket/parka and a big wool scarf. I don't pack these in my luggage because it's not going to fit. Lol! I just bring these with me. Also, I wear the heaviest shoes when I travel to the airport. For inner wear, I only use UNIQLO's Heattech line, which is lightweight and quick dry. Seriously, boys and girls. Do yourself a favor and buy packing cubes! By using these cubes, you can separate your tops and bottoms from your toiletries and other essentials. It makes it easier to compress the space in your hand-carry luggage. You can also save yourself from embarrassment if an airport security wants to check something in your bag. With a price tag of roughly 300 pesos a set, I'd say they're definitely worth it! BTW, I got mine from Miniso (SM North EDSA). thank God for packing cubes! Hotel laundry in third world countries is super cheap. Fancy hotels, however, will charge a fortune to wash your clothes, so just wash it in your hotel bathroom. If you are staying in an apartment booked through Agoda or Airbnb, then there is a high chance you'll get access to a washing machine. It's not necessary to carry a DSLR while traveling and many people find their smartphone to work just fine. However, I'm a travel blogger, so taking high-quality photos is crucial. Good thing, Cebu Pacific allows an extra bag for laptop and camera. That means, these are not included in your 7 KG hand-carry baggage allowance. Airasia and Jetstar, on the other hand, allows 7 KG combined weight limit on carry-on luggage (1 luggage and 1 camera bag or hand bag). So, that's it my dear readers. I hope you find this useful and apply whatever you learn on your next trip. In the end, it's up to each of us to decide our own personal choice of packing. 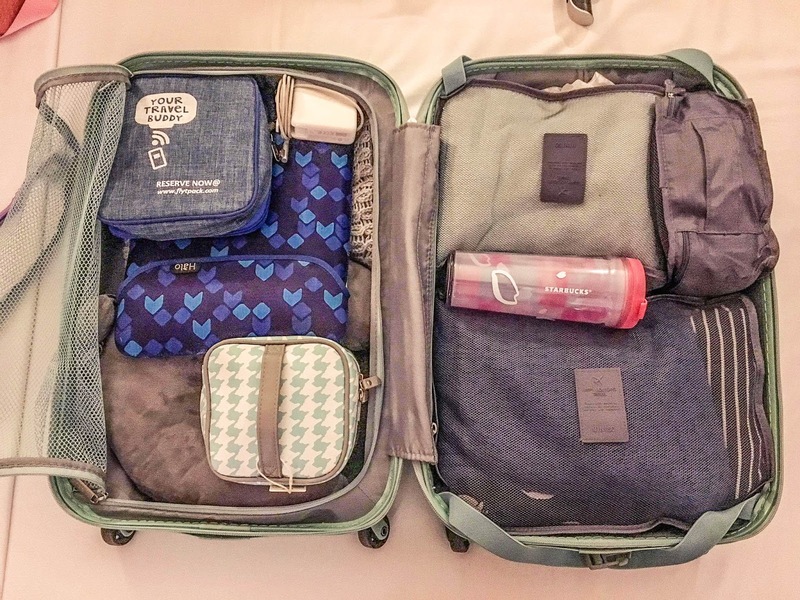 However, if you ever lost a check-in baggage, charged extra for an overweight bag, or cursed your bulky/heavy luggage while other people witnessed the whole ordeal, then it's worth to put some thought on your packing habits. Disclaimer: The baggage allowance policy indicated on this blog is accurate at the time of writing. You should always check with the airline's website before your travel date. Also, don't push your luck when it comes to the weight of your baggage. Stick with the 7 KG baggage allowance. You should always expect strict enforcement and remember that the airline may choose to enforce its rules at any time. 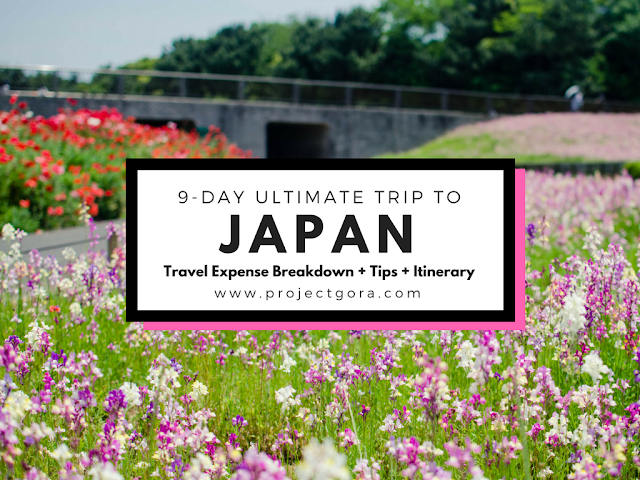 Note: This is my actual itinerary when I recently visited Japan, so I can attest that the sequence of activities and destinations is really feasible, especially if you have a 7-day JR Pass. The expense breakdown at the end of this post is accurate because I have a travel expense tracker. check out my 2015 Japan trip report right here. Getting a Japanese visa is pretty easy and cheap just choose among the accredited travel agencies of Japanese Embassy. Check out my detailed post here regarding tourist visa application. I already have a multiple entry visa so I did not need to apply. My friends did apply and they paid 700 pesos, which was a promo from Universal Holidays Inc.
Japan roundtrip tickets via Cebu Pacific can go for as low as PHP 2,500 pesos during their Piso fare promos. Bad thing is, seats are very limited so we weren’t able to get tickets from them. We purchased ours with Jetstar, which cost around 5,000 pesos per person round trip without baggage allowance. Not so bad in my opinion. The Japan Rail Pass costs JPY 29,110 (roughly USD 281) for 7 days. This expensive pass will enable you to explore the whole of Japan without buying single-journey tickets. If you're trip looks like this, Osaka-Tokyo-Osaka or Tokyo-Osaka-Tokyo, then it is more than worth it. If you are going one way (arriving in Osaka and departing in Tokyo or vice versa), then the pass will not pay off. If you are coming from Nagoya, you avail this tour if you don't like to DIY this day tour. 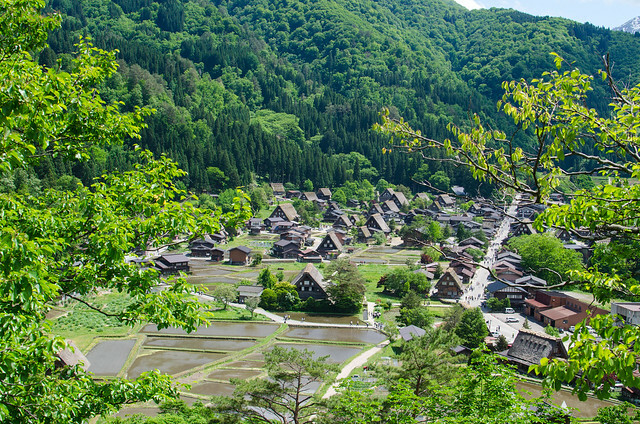 Travel Tip: As you would expect, Shirakawa-go is very busy/touristy. You may want to stay overnight in one of the Gassho Zukuri farmhouses and get there as early as you can. There will be crowds at any time of day, but you will be able explore the place all to yourself once the tour groups have departed late in the afternoon. Staying overnight is a sure way to beat the crowds. my absolute favorite in Central Japan! 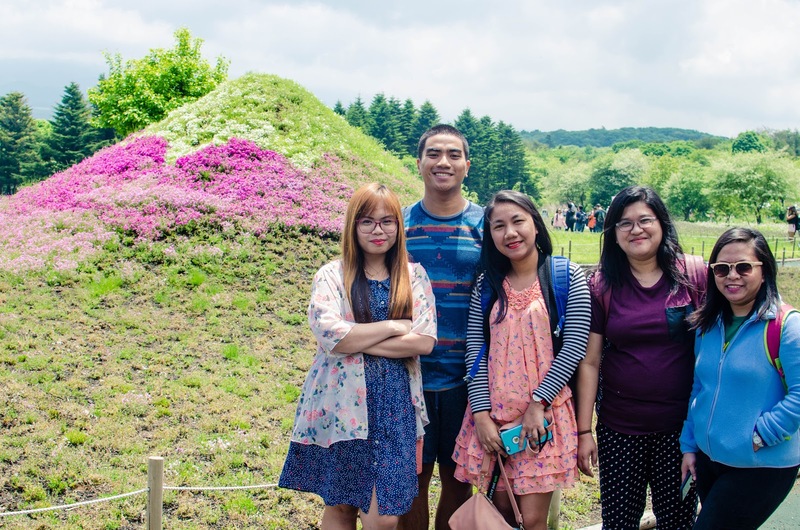 For hassle-free access to Mount Fuji from Tokyo, avail your tours here. We headed back to Tokyo in the afternoon to explore the chaotic but fun districts of Harajuku and Shibuya. 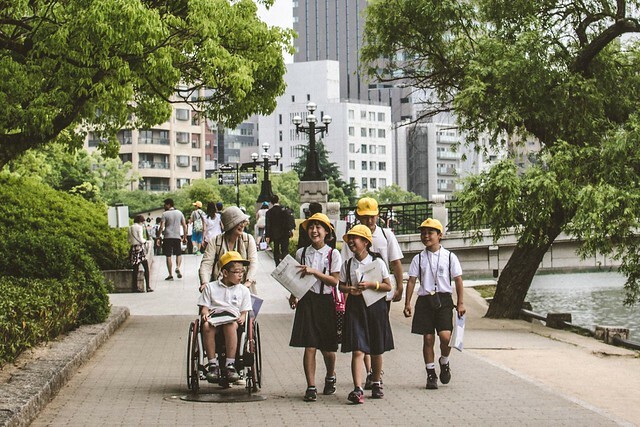 We had three nights in the city so we tried to pack in as many “Tokyo experiences” as possible into that time. We crossed Shibuya Crossing, the world’s busiest intersection, multiple times. We went shopping around the district and we also had one of the best ramen I’ve ever had in Japan, which was Afuri Ramen in Harajuku. 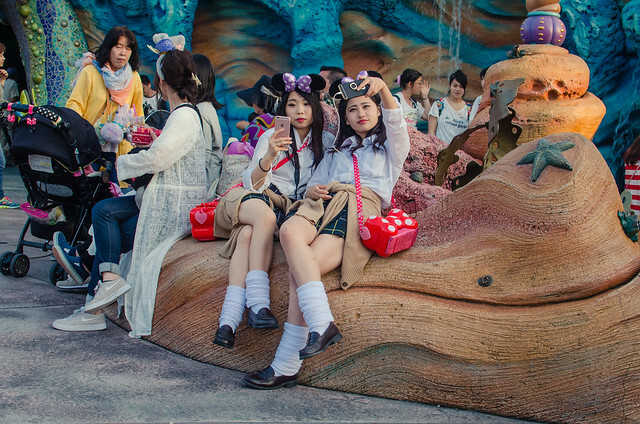 For hassle-free and easy Disneysea and Disneyland ticket purchase, avail your tickets here. Hitachi Seaside Park is a sprawling 190 hectare flower garden located in Hitachinaka, Ibaraki, Japan. It features vast flower gardens including 170 varieties of tulips, millions of narcissuses and nemophilias, each will rotate its full bloom throughout the year, so there is always something for you to enjoy. 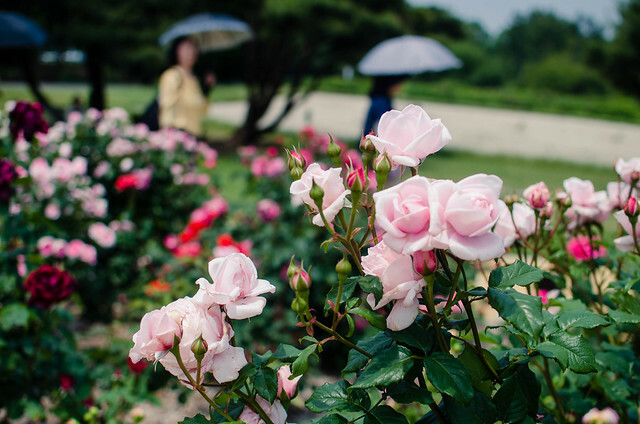 We went during the late spring, so we were able to see the garden with thousands of roses in full bloom. We were too late for the tullips and other flowers but this garden made our day trip so worth it! If you are planning a day trip to Hitachi Seaside Park, I’d highly recommend taking a train from Tokyo/Ueno. The journey takes about two hours and a single journey ticket costs JPY 4,000. Get off at Katsuta Station and catch the Ibaraki Kotsu Bus going to Hitachi Seaside Park (15 minutes). In the afternoon, we went to Shinagawa Station, a major railway station in Tokyo, where we will board a bullet train going to Osaka. We had ramen dinner at a random ramen place. The ramen was incredibly good, too bad I could not recall the name of the place. We woke up a bit late on day 5, so we decided to explore Nara instead of Kyoto. Nara, Japan's first permanent capital, is home to many historic treasures as well as to hundreds of freely roaming deer. 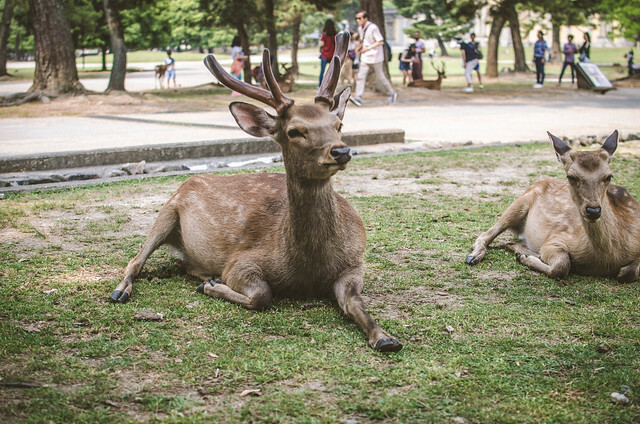 According to local folklore, the deer from Nara area were considered sacred. Considered a messengers to the gods in the Shinto religion, the deer are surprisingly tame, although they can be aggressive if they think you will feed them or if you get too intrusive. In the afternoon, we went back to Osaka to explore Osaka Castle and Dotonbori. It was already my second time in the city and yet, I would always want to go back to Osaka Castle. Although it was just a reconstruction, I would always be fascinated with its history. When Oda Nobunaga attempted to unify Japan during the Sengoku era (warring states period), and his successor Toyotomi Hideyoshi completed the reunification of Japan, many castles were built across the country. One of them was Osaka Castle, a castle built in the order of Toyotomi Hideyoshi. It was one of the grandest castles in the country, which symbolizes his power and wealth. Osaka's Namba District - glico man and Dotonbori! I have already been to Nagasaki last year, so naturally Hiroshima was a clear choice for our next destination. 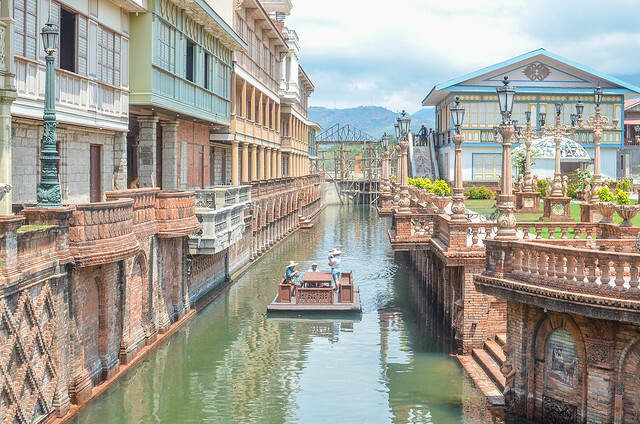 The city is a favorite side-trip destination from Osaka or Kyoto, which can be combined with other cities like Himeji and Kobe. On day 6, we had to wake up early to catch the bullet train from Osaka Station to Hiroshima. From the station, we boarded the Hiroshima Sightseeing Loop Bus, which is free of charge if you have a JR Pass. Yehey! In the afternoon, we boarded another bullet train going to Himeji Castle, the most beautiful and the finest surviving example of early 17th-century Japanese castle architecture. I’ve always wanted to go to Himeji, but for some reasons, I never had the chance. I guess third time's the charm. :) We waited until dusk so we could see Himeji Castle lighted-up. It did not disappoint, and we were pleasantly surprised because only a few other tourists were in the castle grounds. No photo bombers for us! In the evening, we boarded a local JR train to Kobe, home to the famous Kobe Beef. We arrived at around 8:30 in the evening and most of the Kobe beef restaurants were already closed. :( Good thing, we found one near Kobe Station. It was the most expensive meal I’ve ever had so far, but the one of the most delicious I’ve had in Japan. Kobe Beef truly lives up to its impressive reputation. One of the most visually spectacular destinations in Japan is Kyoto, the ancient city known for its temples and shrines. 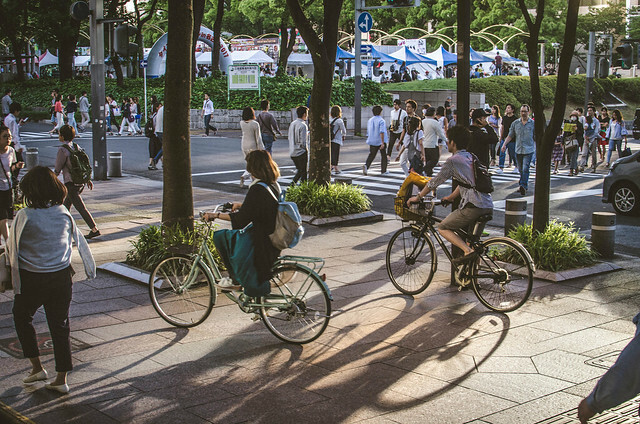 There are plenty of sightseeing spots and activities that are definitely worthy of recommendation of locals and frequent travelers, so deciding where to go and what to do in just one day can be challenging. We started very early but we weren’t able to visit as much attractions as planned. We managed to visit Arashiyama, Fushimi Inari and Kiyomizudera, which are some of the most famous attractions in the ancient city. In the evening, we had to travel to Nagoya, where we will stay for the rest of the trip. Our JR passes expires on the 7th day, so it was our last chance to ride a bullet train without paying extra. 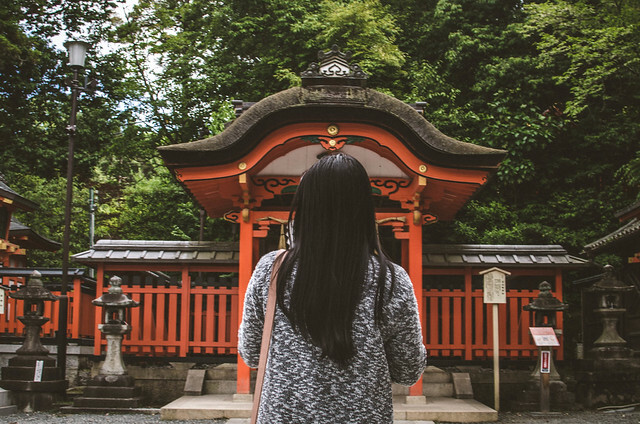 Travel Tip: Fushimi Inari and Arashiyama can be really busy with people coming to photograph it. I’d recommend visiting as early as possible or just be patient and plan to wait for a gap in the crowds. You might be there a while but it’s worth it for the perfect Instagram photo! If all else fails, you can always use the Content Aware feature in Adobe Photoshop to remove photobombers. Lol! If you love shopping then you probably know that Japan is a shopping paradise. When I first traveled to the country, I had this impression that Japan is an expensive shopping destination. But at that time (2015), the Japanese Yen is weak so our money went a long way. Last year, when I travelled solo, I was not able to buy many pasalubongs because the yen has recovered. This year was the same. I never really meant to shop in Nagoya, but we found plenty of cheap places to shop. Asbee, one of the most popular shoe stores in Japan, was on sale when we were in the city. We found Keds shoes, limited and original designs, for as low as 1,000 yen or around 450 pesos! Insane, right? They also carry plenty of popular brands such as Timberland, MadFoot, Coleman (yes, they have shoes and sandals in Japan), New Balance, Nike, Adidas, Converse, Keds, Puma, Reebok, Asics, Skechers, DC Shoes, Coleman, Dickies and Lee shoes. So, how much did I spend on this trip? If I could go back in time to wherever I wished, I would like to go back to the Spanish colonial era (1521 to 1898) and live in Manila. My fascination with the Spanish colonial era was first ignited when I first read Noli Me Tangere and El Filibusterismo, a class requirement when I was still in high school. These novels, written by our national hero, Dr. Jose Rizal, are some of the most important literary works in the Philippines. Over a hundred years after these novels were written, its message is still relevant to us Filipinos. I fell in love with these novels because Rizal wrote them in order to expose the ugly political or religious backdrop during the Spanish colonial era. I want to go back in time so I could see Manila in its once glorious self. I want to know how life once was, back in the days when technology is all still unheard of. I want to see the beautiful Manila, but I also want to see with my own eyes the repression, inequality and torture that my ancestors experienced everyday for 300 hundred years. 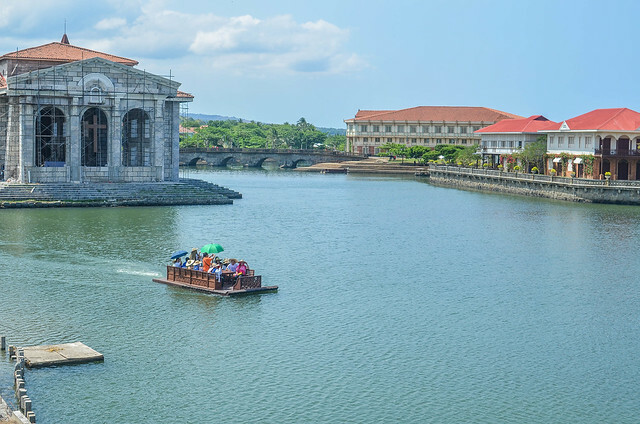 While time travel is theoretically possible, but a time machine has not been invented yet, I figure a trip to Las Casas Filipinas de Acuzar would suffice. If you’re a frequent visitor of my blog, you would know that I am a sucker for anything old and historical. 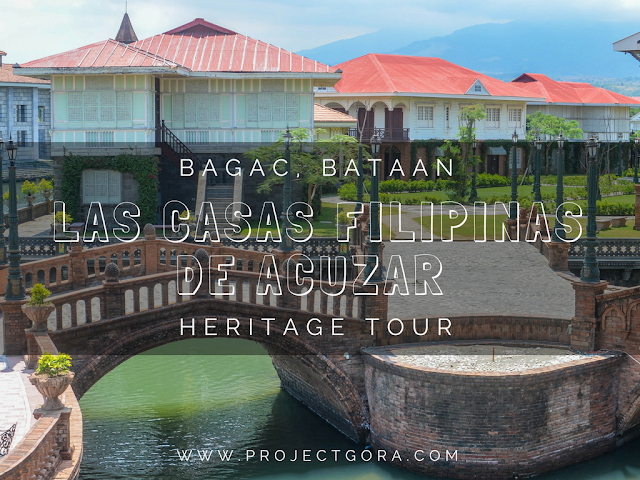 So, when Bataan Tourism invited me to cover the 75th Araw ng Kagitingan with a side trip to Las Casas Filipinas de Acuzar, I said yes without hesitation. Lol! Lia the Young Explorer :) Check out her adventures on her mom's Instagram account right here. 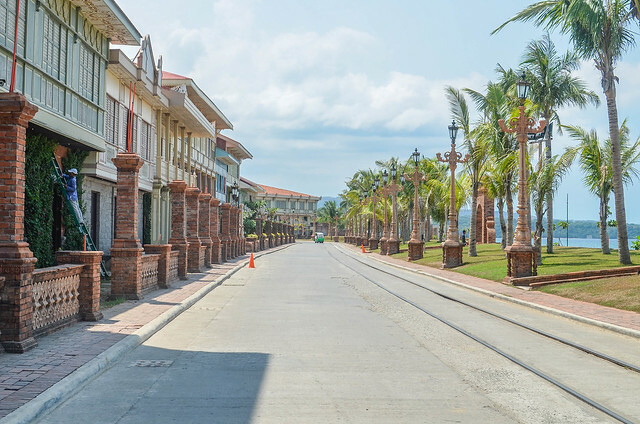 Las Casas Filipinos de Acuzar is a resort filled with collection of Spanish-era houses, which showcases Filipino artistry and craftsmanship. 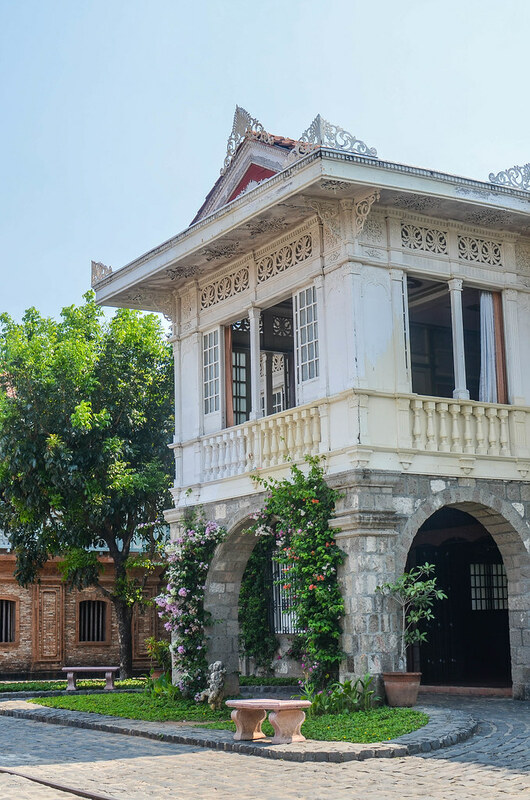 The resort owner José "Gerry" Acuzar, a business man and the Chairman of New San Jose Builders, has been buying out Spanish-era houses and bahay na bato from different parts of the Philippines since 2003. His men will take all the original construction materials of the houses, as long as they are still usable, then these materials will be transported to Bagac, Bataan for reassembling. Opened to the public in 2010, most of its restored heritage houses cater to guests and day tour visitors. The resort offers the usual resort amenities, but with historical touch. They have a batis-inspired swimming pool, jeepney service, calesa rides, balsa river tours, Fotografia de la Escolta (a photo-shoot with our professional in-house photographer while wearing our traditional Baro’t Saya and Barong Tagalog), and many more. They also have three restaurants - Cafe Marivent, La Bella Teodora and Cafe del Rio. Upon entering the gates of Las Casas Filipinas de Acuzar, I was taken back in time to the Spanish colonial era minus the sight of Maria Claras, Padre Damasos and Aliping Sagigilids (translated as slave). We were greeted by security guards dressed as Guardia Sibil, and staffs dressed in Barong Tagalog and Filipiniana Dresses. Although I was never a fan of guided tours, the heritage walk conducted by Dexter was really great. We were introduced to each casas and we got a glimpse as to how each house came about. We also learned some of the stories about the heritage houses, some of them inspiring, some are tragic and haunting. 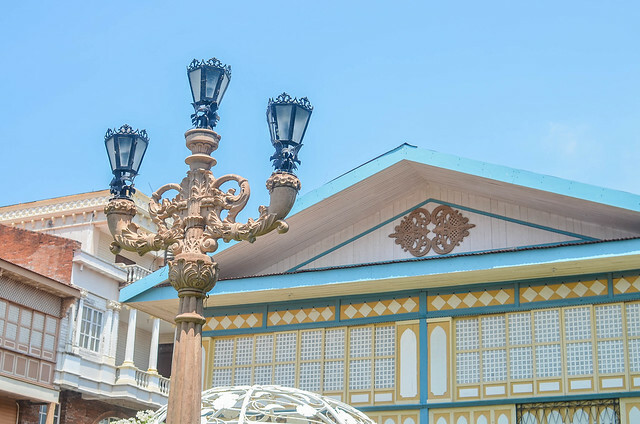 Aside from historical stories behind the casas and its structures, we also learned who were behind the the artistic and cultural elements in the resort. Tulay ni Lola Basyang, a replica of the landmark Jones Bridge with the creepy creatures from Lola Basyang's stories. 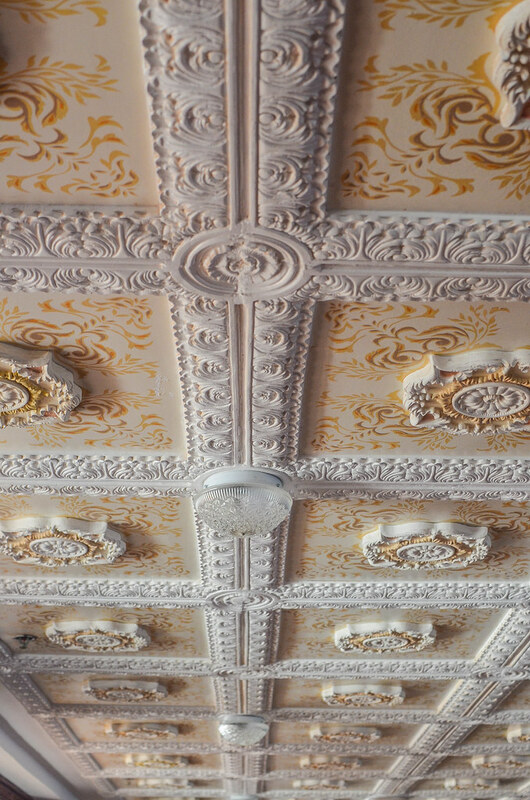 look at the stone carvings in the ceiling! impressive, no? Casa Lubao is a personal favorite. It was the "youngest" among the ancestral houses at Las Casas because it was constructed in the 1920s. 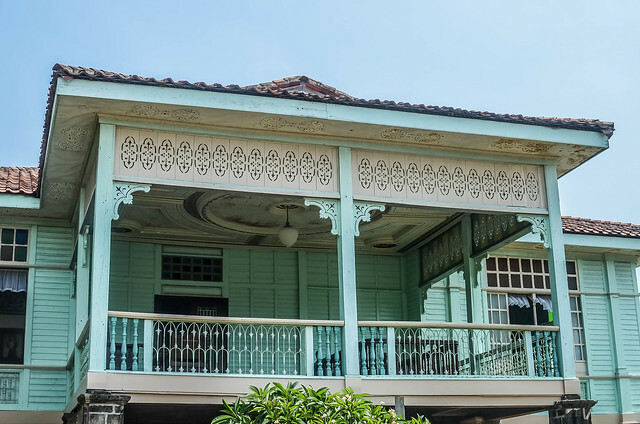 Owned by Juanita Arrastia and her husband, Dr. Wenceslao Vitug, this casa is very significant because this was where Diosdado Macapagal worked when he was a child. Because he was intelligent and a hard working kid, the owners sent him to school. He later became the President of the Philippines. 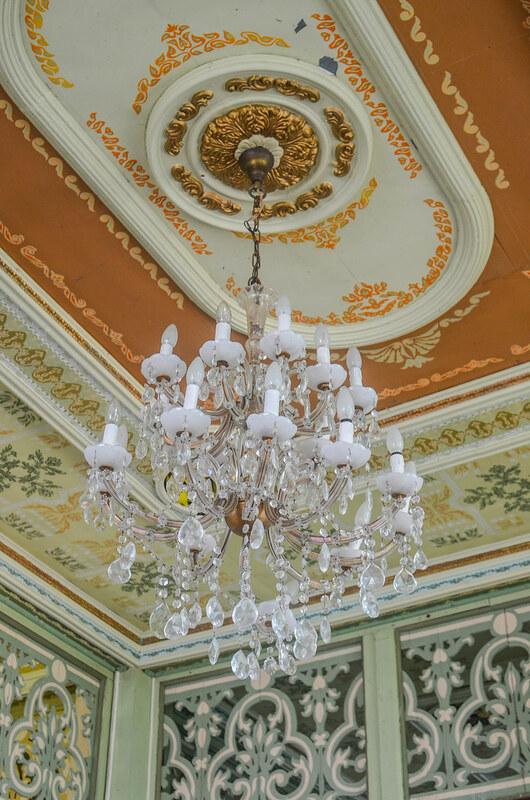 I love that the ceiling of every casas has so many details! 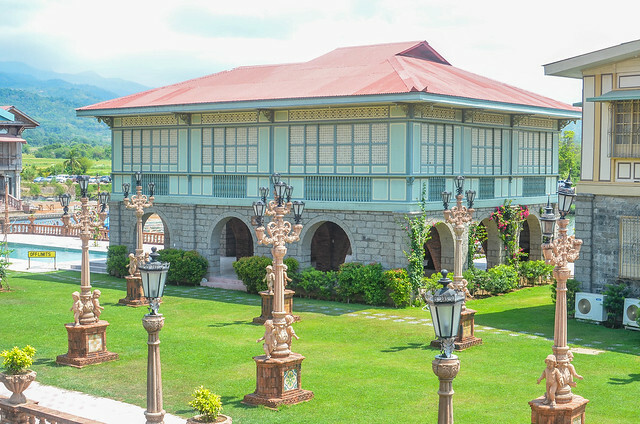 The beautiful Casa Jaen, the second house of the Esquivel Clan from Jaen, Nueva Ecija. Jaen is the home town of my mother, so I was really surprised Casa Jaen's here. 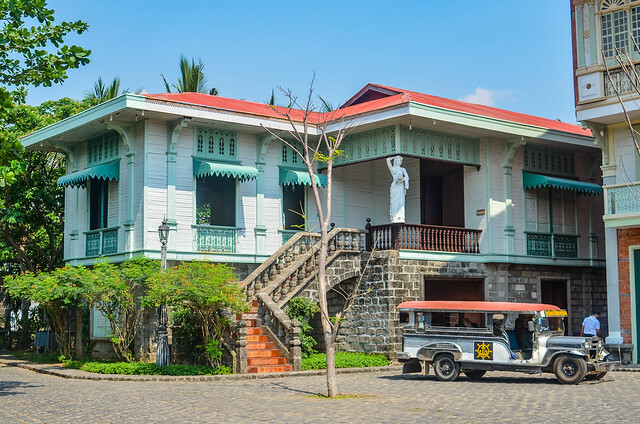 I was wondering why it was transferred/sold to Las Casas because the Esquivel Clan is very rich and they could easily afford to maintain their ancestral house. If I were a member of their clan, I would never agree to selling our ancestral house. Never. 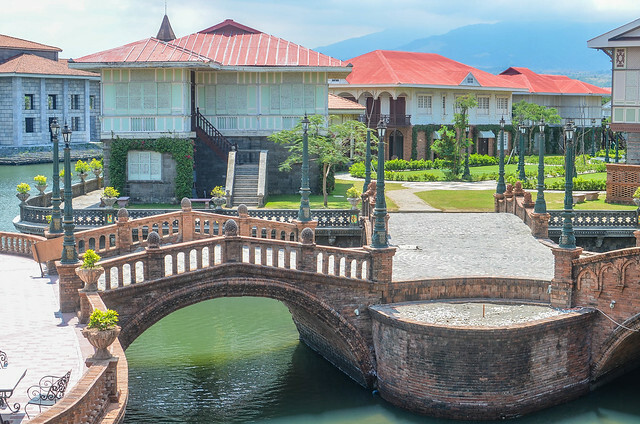 That casa in the middle is Casa Byzantina, the biggest casa in Las Casas Filipinas de Acuzar, which can accommodate up to 16 guests. 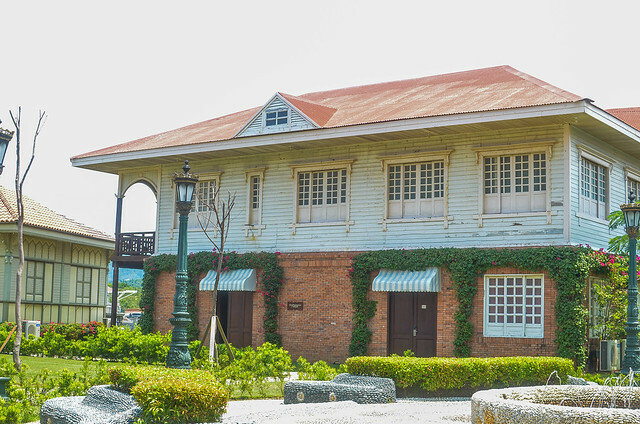 Casa San Miguel, one of the biggest casas in Las Casas Filipinas de Acuzar, which can house 12 guests. It also has a balcony and it is complete with a living room, a game room, and a dining area. 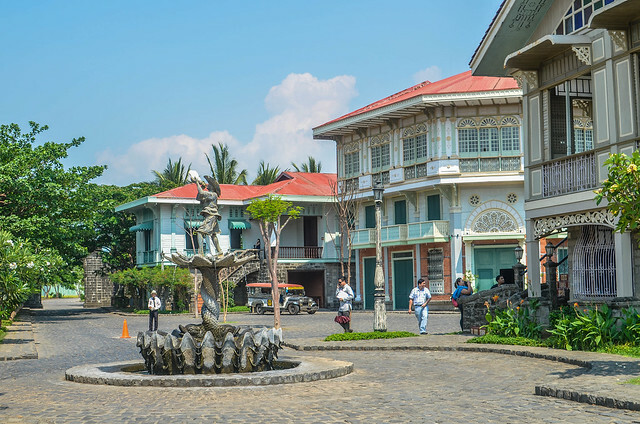 In spite of the controversy surrounding the transplanted houses in Las Casas Filipinas de Acuzar, I feel that relocating and restoring these casas is better than leaving these pieces of Philippine history in total ruin and destruction. Until there’s a government program dedicated for historical houses conservation, I think I would be okay with the resort’s practice. 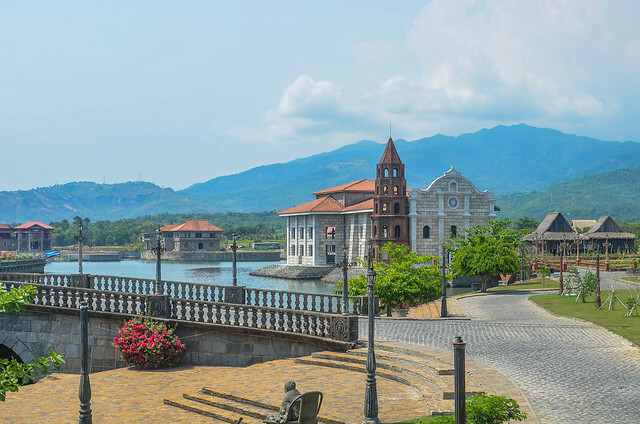 So, that's how our day tour went in Las Casas Filipinas de Acuzar in Bagac, Bataan. :) I did not expect to love Bataan as much as I eventually did when I first came to the province. To be fair, I did join a media familiarization trip, but opinion and experience remain my own. As always, thank you so much Bataan Tourism for making this trip possible! And thanks to my co-Pinoy Travel Bloggers who participated in this trip. You guys made this adventure one for the books! Contact Manila Reservation Office for more information: (02) 546-9123, (02) 332-5338, (02) 335-3032 and (02) 332-5286 or email reserve@lascasasfilipinas.com.